Gillan,Marazion Holiday Cottage is a luxury self catering holiday cottage with views of the idyllic St. Michael's Mount. It is a perfect base to explore the many other coves and sandy beaches on this exclusive stretch of West Cornwall's magnificent coastline. The Cornish Coastal Footpath passes very close by for those of you who enjoy walking and want to experience the fantastic Cornish scenery on foot ! 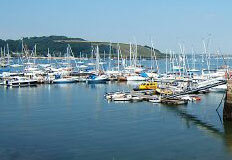 Harbour's Reach Waterfront Holiday Apartments on King Charles Quay, Falmouth are the perfect place for a winter break. 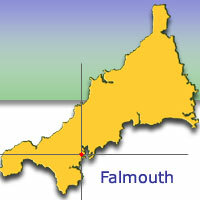 Contact info@falmouth-waterfront-holidays.co.uk for more information. For those who want a break from the usual hotel or B&B holiday these waterside apartments incorporate as much luxury and charm but with heaps more intimacy. With stunning views overlooking the third deepest natural harbour on the planet (only surpassed by Sydney and Rio de Janeiro !) 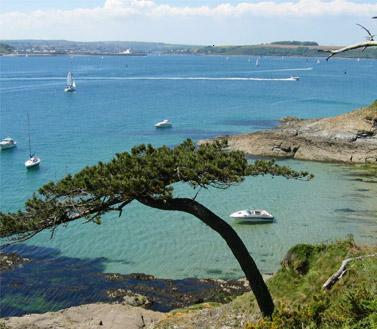 Harbour's Reach is a real gem - perfect for your escape to Cornwall's idyllic south coast. Situated right on the waterfront on a small, secluded, almost private quay, the water literally laps just a few steps from the front door - yet the town centre with its upmarket restaurants, cafes, bars and shopping is just around the corner. 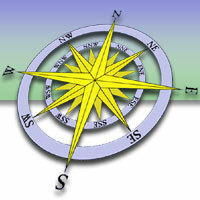 These six stylish waterside self catering holiday flats provide excellent accommodation. Each apartment has its own private balcony from which to enjoy the magnificent scenery. The views are simply mesmerising. They are just waiting for you to discover them ! View from Harbour's Reach selfcatering Waterfront Holiday accommodation.